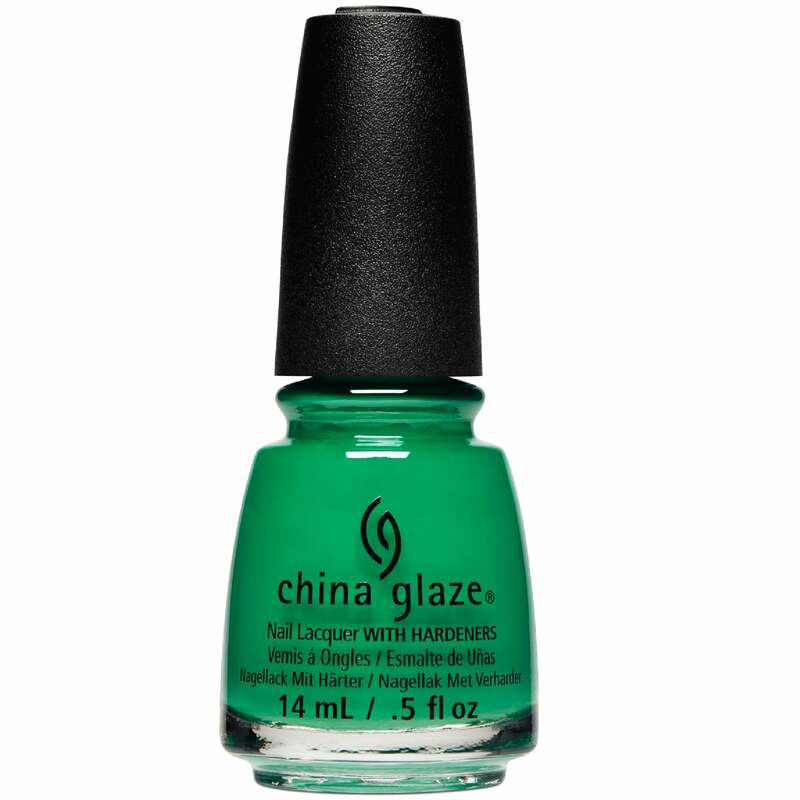 Reign this Summer season with China Glaze ó»s most glamorous collection yet! Inspired by new experiences and unforgettable memories: this palette will take you on a dreamy, tropical rendezvous. China Glaze is bringing the glamour and heat this Summer with it ó»s jewel-toned, bright Nail Polish Collection for Summer 2017. Summer Reign is inspired by the hot hues of summer sunset, which consists of a 12 shade colour palette that offers sophisticated jewel-tones and dazzling metallics - with intense, saturated finishes. "Emerald Bae" is a mint green creme. Once dried apply one coat of "Emerald Bae". Wait for this to dry then apply 1-2 coats depending on your desired opacity.